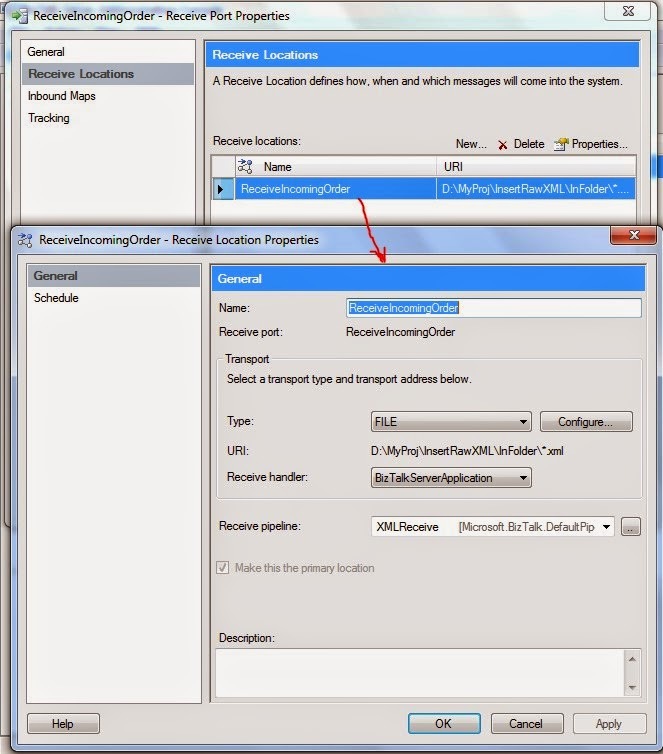 After Developing and deploying the application start with creating ReceivePort with a File based receive location. 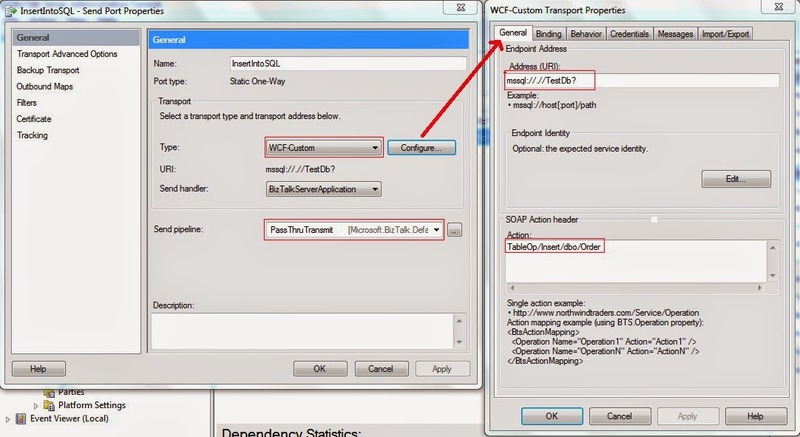 Send port which will send data to SQL, in this case you need to use WCF-SQL adapter or WCF-Custom adapter can be used. 1. PassThru pipeline is used as no processing is to be done . 2. 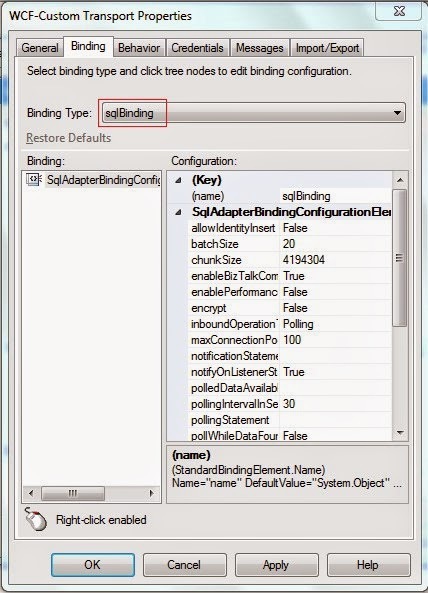 SQL binding is to be selected as WCF-Custom adapter is used, if WCF-SQL was used then it would have already been there. 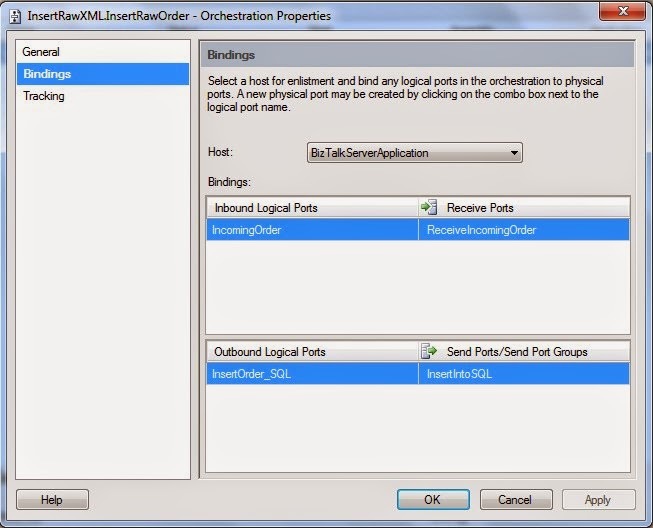 After both Receive port and Send Port are created, bind it to the Orchestration. Right click the orchestration and configure. After done with configuration, time to test the application. Start the application and drop the sample Order File at Receive Location and you should be able to see in SQL as shown below. The adapter failed to transmit message going to send port "InserttoSQL" with URL "mssql://aglbiztest//testDb?". It will be retransmitted after the retry interval specified for this Send Port. Details:"System.ArgumentNullException: Value cannot be null.